Nvidia has made available the G-SYNC DIY Upgrade kits for the ASUS VG248QE monitor available in their store, unfortunately they can be ordered only by people living in the US or Canada (as previously announced). 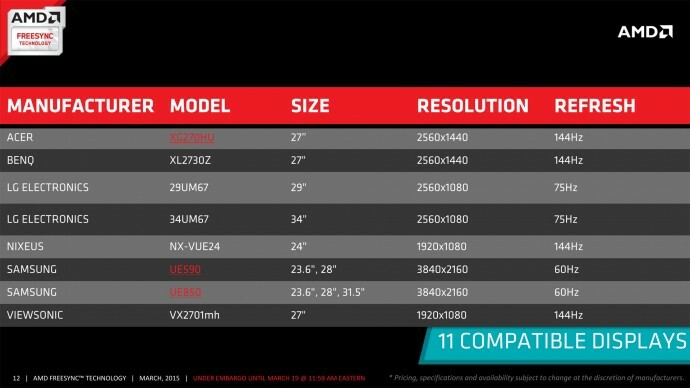 The kit is being sold for $199 USD and you need to already have the monitor available in order to upgrade it to support the new G-SYNC technology. According to Nvidia the installation process should take approximately 30 minutes and it essentially covers the complete replacement of the LCD driver board and the power supply that the ASUS VG248QE uses with the ones included in the Upgrade kit. Not only ASUS announced a new G-SYNC monitor – the ROG SWIFT PG278Q G-SYNC monitor at CES 2014, but most other Nvidia partners that are expected to launch monitor with built-in support for the G-SYNC technology have shown their upcoming products. The ASUS ROG SWIFT PG278Q however remains the most interesting product as it is the first one with official support for 120Hz resolution on a panel that goes beyond Full HD resolution, even though not 3D Vision support for it has been announced. All other announced models are in the form of 24-inch and 27-inch models with 1080p resolution and apparently only BenQ’s products will have support for the 3D Vision technology, or at least only that company is talking about 3D Vision support on their upcoming G-SYNC products. The 27-inch Philips 272G5DYEB is going to be a Full HD monitor with G-SYNC support and 144Hz maximum refresh rate, no 3D Vision support, but we did not expect to see that feature available on a Philips product anyway as the company has not yet released even a single 3D Vision ready product although it has multiple models with over 60Hz refresh rate and 3D support. 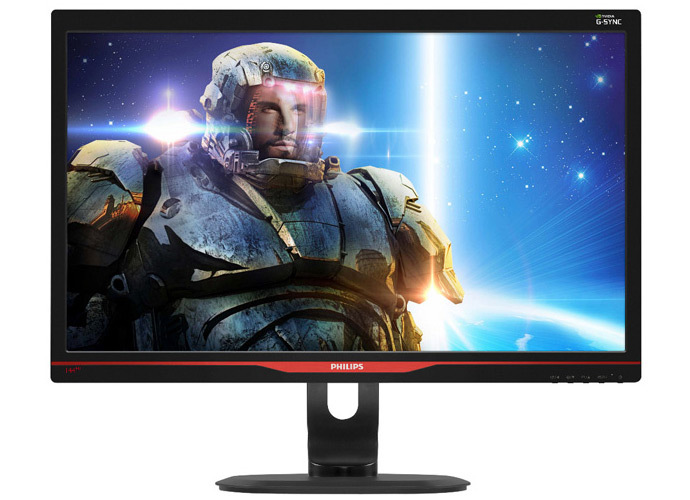 Philips 272G5DYEB should be available this spring with expected end user price of $649 USD. The BenQ XL2420G and BenQ XL2420G are respectively 24-inch and 27-inch models with Full HD resolution and G-SYNC support and BenQ does mention 3D Vision mode available in their press release, though you would probably need an external 3D Vision kit to use these display in stereo 3D mode. 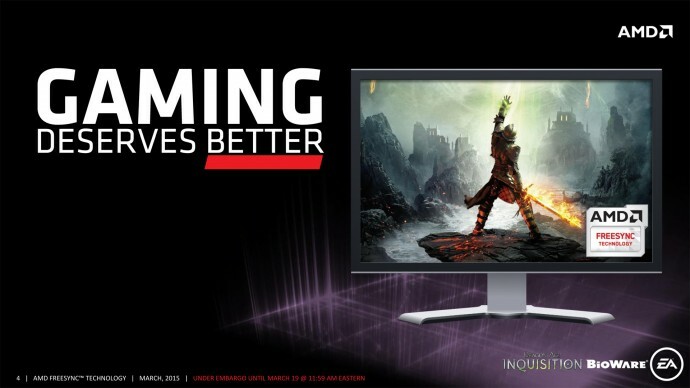 The BenQ XL2420G and BenQ XL2420G monitors should be available in Q1 2014 according to the company, or with other words probably earlier than the ASUS G-SYNC monitor, prices however haven’t been revealed for now. There is also the 24-inch ViewSonic VX2457GML monitor that will also be a Full HD display, but there are still not that much details about this one. AOC should be announcing their G-SYNC enabled solutions and maybe some time soon we can also get to see an announcement for a 4K display with support for G-SYNC.